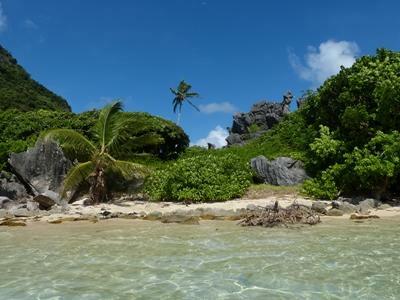 Ever wanted to volunteer as a group in a local community or ecosystem but within an idyllic, tropical island paradise? Well Fiji is just the location for you! This stunning Pacific island archipelago is perfect for any group of friends, students, colleagues or gap year travellers who want to truly experience what these islands have to offer amongst the lives of the Fijians away from the well-trodden tourist path. 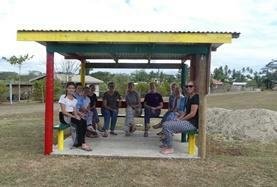 A wide variety of projects are on offer for volunteers in Fiji including Care/Teaching, Community – including a Village Project, and Animal Care Projects; each with their own unique charms. 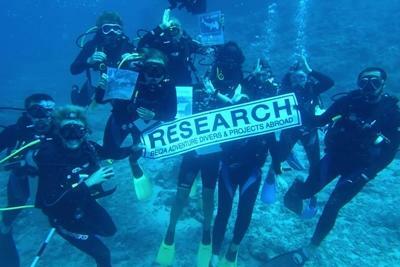 We also run a pioneering shark conservation project where your group could find yourselves scuba diving amongst a huge array of sharks with respected scientists and shark research experts. Despite its sugar trade and the wealth of tourism that supports Fiji with its most substantial source of income, a lot of this doesn’t make it to the people of its poorer villages and towns away from the tourist hotspots. This is where your group can have a positive impact as a volunteer. An abundance of forest, mineral, and fish resources have given Fiji a high level of development but there is still a significant amount of need in some areas. Volunteers can make a difference working with children and the elderly in care centres, helping students develop their language skills, or contributing to the protection and preservation of marine wildlife. Recognised the world over for its crystal clear waters and its idyllic, white sand beaches, Fiji truly is a beautiful destination though this is only covering the very edge of the islands. The interior of the islands are filled with rugged, emerald green forests, cascading waterfalls and extinct volcanoes, all of which are definitely worth exploring! The other characteristic that makes these islands so beautiful is its people; Fijians are relaxed, charming and gracious people who will probably inspire you more than the postcard sunsets. The population of Fiji is a complex mix of indigenous Fijians, Indo-Fijians, and descendants of Chinese traders. There are also other Pacific islanders that descended from the British and European explorers and colonialists. As a volunteer living in Fiji for a longer period of time than most casual tourists you will have the chance to explore the many facets that make up modern Fijian culture. You will gain a deeper understanding of the issues affecting Fiji today. 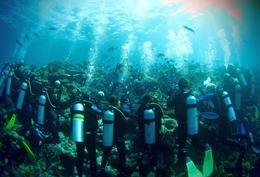 Projects Abroad Fiji is located in two locations on the largest island within the archipelago; Viti Levu. 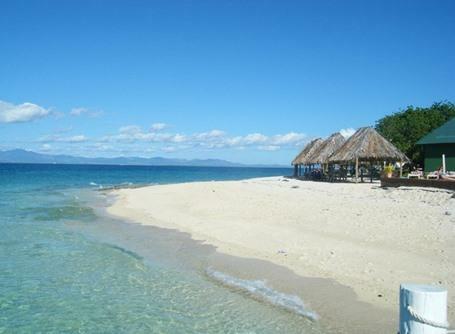 For the Fijians that live on one of the hundreds of smaller islands, Viti Levu is usually referred to as the “mainland”. 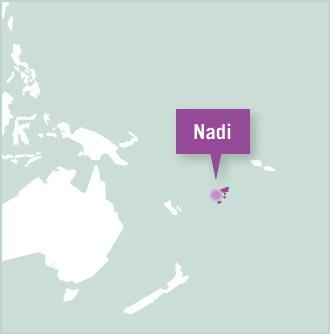 All of our group projects are located in and around the town of Nadi on the west coast, apart from our Shark Conservation project which is based out of Pacific Harbour on the south coast of the island. Depending on the size of the group, you will either be staying with a host family or in a local hotel or hostel. Smaller groups, who will get to stay with a host family, will provide you with the warm hospitality that Fijians are known for while larger groups will stay in a local hotel so that both work and free time can be arranged and organised easily amongst yourselves. If you are staying in a local hotel, don’t feel like you’re going to miss out on the great culture of these islands, the locals and the staff are very friendly and will always be interested in teaching you the ways of their culture as well as learning everything about yours! For those on our Shark Conservation project, you will be staying in a shared villa in Pacific Harbour close to the sea and close to our dive centre. In the evenings and on the weekends, groups will get free time to spend as they please, whether it is getting involved with cultural activities or simply putting their feet up and watching the sunset from a beachfront hammock. They are also spoilt for choice when it comes to travel opportunities in the South Pacific, both on the weekends or after finishing their volunteering placement. On the weekends, groups will get the opportunity to explore the dramatic highland interior, visit some of the remote villages and even get involved with one of the many colourful festivals that the different towns regularly throw. These will all introduce your group to the music and customs of traditional Fijian life. Explore a little further afield and join the hunt for the perfect beach. The South West of Viti Levu boasts the best of the island's beaches, with incredible scuba diving at the reefs at Nananu-i-Ra or at the Beqa lagoon. Or take a boat island hopping through the Mamanucas island chain, North West of Nadi for the ultimate in beach relaxation. It would take you months to explore all the islands, but travel through the archipelago has never been more accessible even for those on smaller budgets. So if you have the time, pack a hammock and sarong and head to Fiji to do some good in an island paradise.